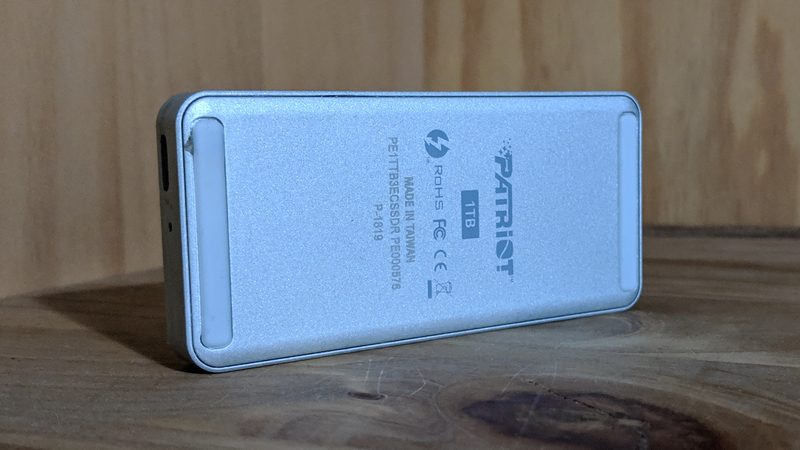 On paper, Thunderbolt 3 looks to be a fabulous connector – the port to rule all ports, as it were. It can do data transfer, cope with video signals, and even power your laptop. However, the problem is that Thunderbolt 3 is still expensive and limited to very recent products. The potential is clearly here, though, and products like the Patriot Evlvr give us a tantalizing insight into how computing life will be once the technology becomes more mainstream. 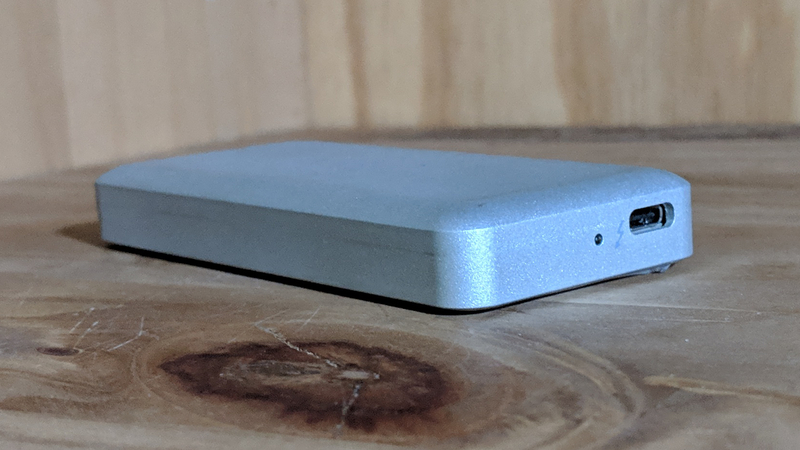 This is a Thunderbolt 3 (TB3) external storage device that costs as little as $390 (around £305) for the 1TB model, and fits easily in your pocket. There’s also a 512GB version and both carry a two-year warranty, which is shorter than the usual three-year warranty offered by the competition (Samsung, Adata and so forth). The Evlvr is essentially an M.2 solid-state drive stashed in a silver aluminum chassis with a logo etched on top. It is sturdy, but we wouldn’t want to make a habit of dropping it, as the connectors inside might get dislodged. We (and other reviewers) also noticed that the outer shell tends to get dirty quite quickly. There are four rubber feet underneath plus a TB3 port and status lights on one side. Although the TB3 connector is physically similar to a USB Type-C port, it is not compatible with it. At 101 x 46 x 11mm and weighing only 100g, this device is reasonably portable, and other than an 8-inch TB3 cable, there’s not much to get excited about. While you are able to open the drive and potentially swap the M.2 SSD – a PCIe 3.0 x2 model – for something beefier, doing so will invalidate your warranty. The SSD uses a Phison PS5008-E8 controller while the TB3 port relies on an Intel JHL6340 Thunderbolt 3 Controller supporting 40Gbps of bandwidth. 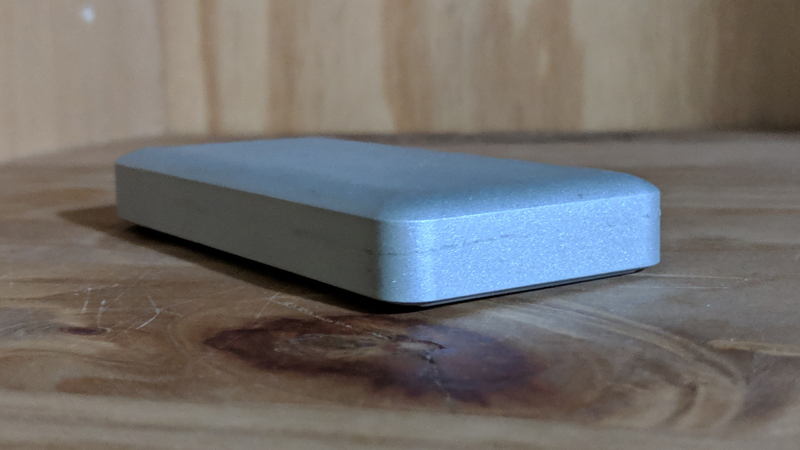 Like the SanDisk Extreme Portable 1TB SSD we tested recently, the Evlvr uses Toshiba BiCS 64-layer 3D flash combined with 512MB of DDR3 memory. Patriot claims that the drive will achieve up to 1.6GBps read and 1GBps write speeds. And it is fair to say that Patriot has been a tad conservative here, as we clocked 1597MBps and 1048MBps respectively on CrystalDiskMark. The Atto benchmark reported similar numbers (1603MBps and 1003MBps respectively). It took 142 seconds to transfer 100GB of data, significantly slower than the Samsung X5 (83 seconds), and this equates roughly to a transfer rate of 0.7GBps. 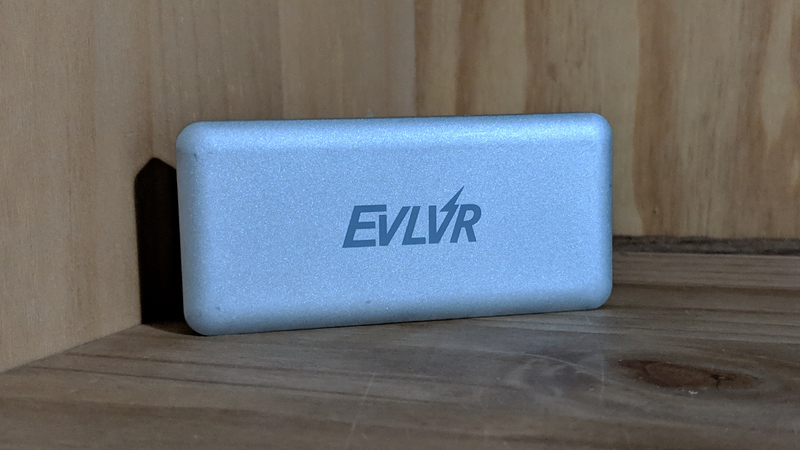 Other than that, though, the Evlvr easily beats any other USB drive currently on the market – and it’s not even a close-run thing. The Samsung X5 we just mentioned is the main competitor to the Evlvr. It is significantly faster than the Evlvr and truly represents the pinnacle of what can be achieved with Thunderbolt 3 and a PCIe 3.0 x4 SSD. However, it is also far more expensive with a 53% price premium at the time of writing at Amazon in the US ($600 compared to $390, which is around £470 versus £305). Other than having better performance, the Samsung product also has a longer warranty (three years), is shock resistant, and boasts password protection. The HP P800 is an unknown quantity. It retails for slightly more than the Patriot and has higher read and write speeds (2.4GBps and 1.2GBps) with a three year warranty, which would put it on par with the Samsung X5. However, no one has yet reviewed it. The drive comes from HP, a household computer brand, and you should be able to swap the SSD without negatively impacting the warranty. It’s a shame that the integrated cable is so short. Other potential competitors include the OWC Envoy Pro EX 1TB ($419 – which is around £325), the Dell Portable Thunderbolt 3 SSD 1TB ($540 – which is around £420) and the G-Technology G-Drive Mobile Pro SSD 1TB ($700 – which is around £550). Thunderbolt 3 reminds us of Firewire in that it boasts plenty of promise, is heavily promoted by Apple products, but it’s expensive. Firewire, however, faded away as USB caught up with faster speeds. We know that USB 3.2 – with a 20Gbps bandwidth – is already in the works, and that the first products will likely be launched next year. Will that give Thunderbolt 3 enough breathing space before the inevitable onslaught? That remains to be seen. As for the Patriot Evlvr, this is a very fast portable storage device. Yes, it is not rugged or fast enough to compete with the Samsung X5, but it offers plenty for those who want to embrace Thunderbolt 3 – if you are ready to pay a significant premium, that is. For now, this Patriot drive sits firmly between the no-expense-spared Samsung X5 with its jaw dropping performance, and the more affordable but slower USB-driven external drives like the SanDisk Extreme Portable SSD.